Excellent product with craftsmanship spirit! 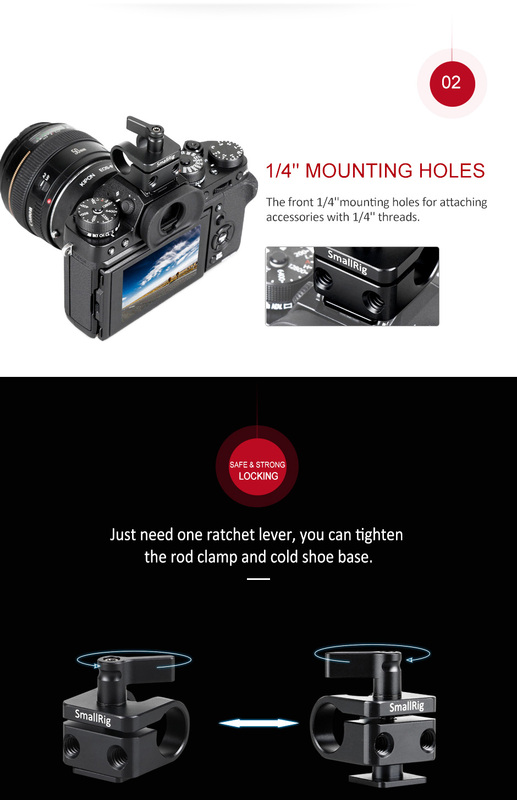 It comes with a 15mm rod clamp and a cold shoe adapter. It could be mounted on the cold shoe of the cage. It could also attach a 15mm rod for monitor, EVF and microphone shock etc. It features a wingnut to lock 15mm rod tight. Excellent product with craftsmanship spirit! Low profile and easy to use.